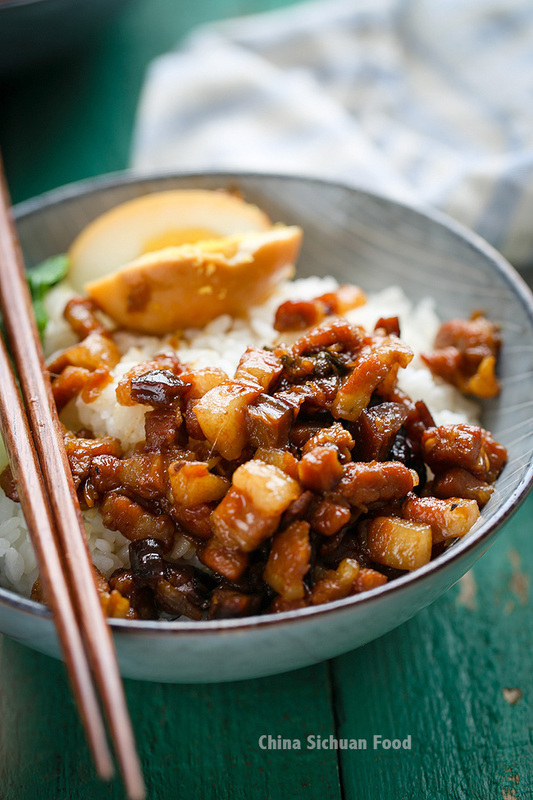 Lu Rou Fan (卤肉饭)-Taiwanese braised pork over rice is a comforting family food. 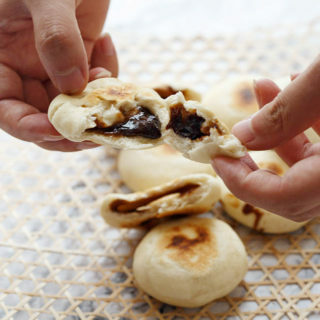 Taiwanese food now enjoys high popularity in mainland China. 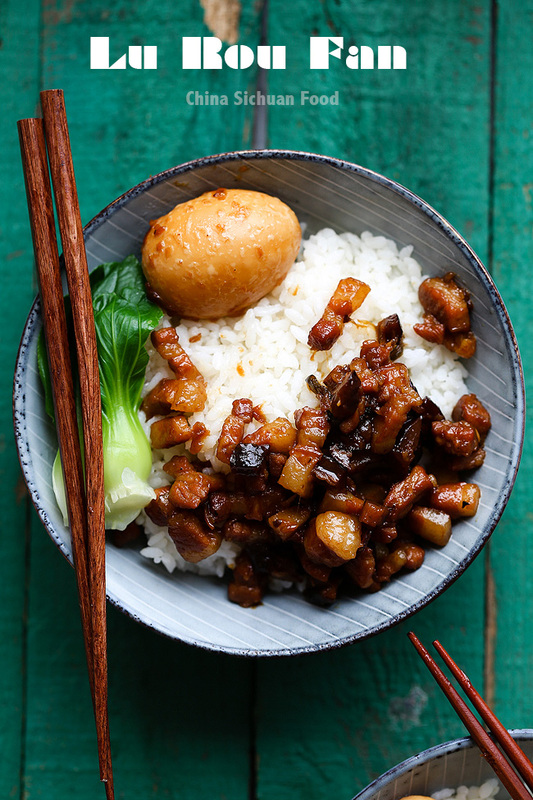 My family is a big fan of Taiwanese food including the best sport game partner, Taiwanese peppercorn chicken (Yan Su Ji) and this braised pork over rice (Lu Rou fan). Food is always closely related to culture and history. 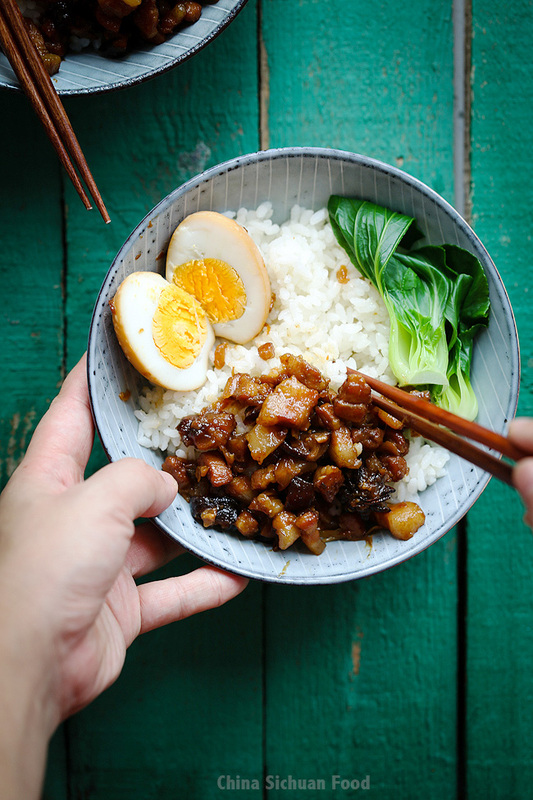 This taiwanese food is quite similar to a popular braised pork belly popular in Mainland China: red-cooked pork belly(Hong Shao Rou). Well, this is a recipe I have been thinking about to write for quite a long time. 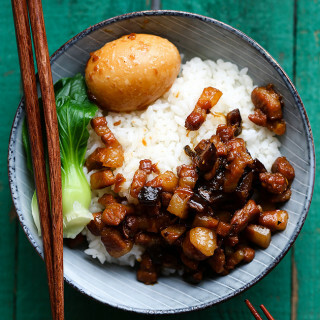 As a fan of Taiwanese rou zao dishes, it may appear with rice or noodles even sticky rice. Along with the strong aroma of small shallots, I can always find some memory back to my university life when the four roommates enjoying this Lu Rou Fan almost once a week at a chain store. 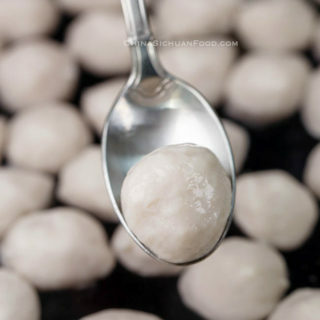 Several tips before making your own lu rou fan at home. 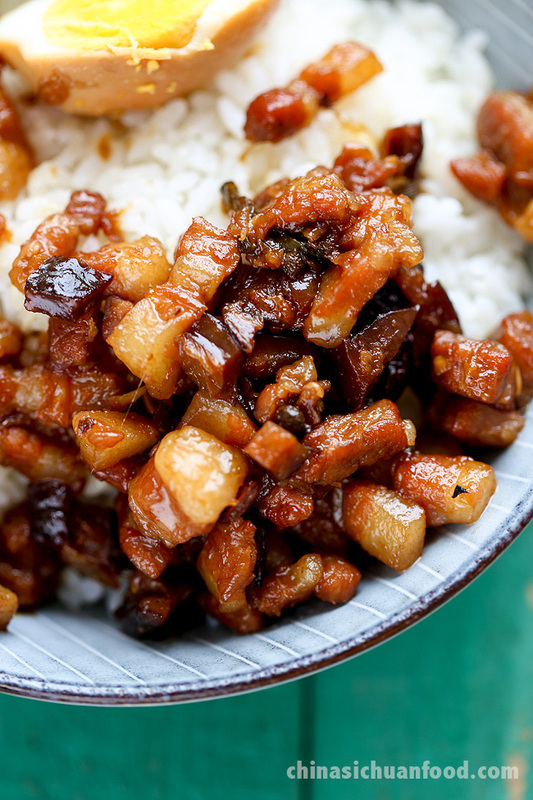 The best ingredient for Lu Rou fan is pork belly. Cut it into long strips and then into small dices. Try to guarantee each piece has both fat and lean meat. 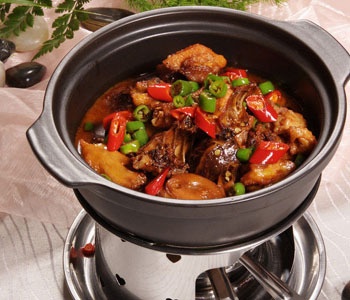 Skin is recommended for lu rou fan recipes as it contains rich collagen which can make the soup even flavory. But if you really do not like the skin, feel free to remove them. Heat all the vegetable oil in a wok or sauce pan, add sliced onion in to fry until they becomes dark golden brown. Control your fire especially in the later part to medium or slow and stir continuously. The process may take 10 to 15 minutes. Set aside to cool down. 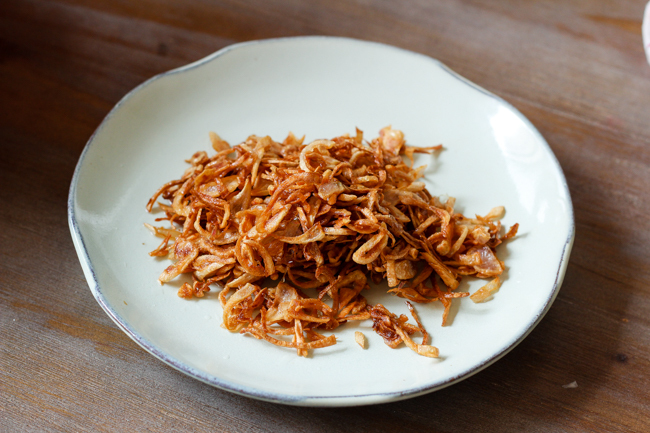 After cooled, the fried onions will become quite crispy, cut them into smaller pieces. 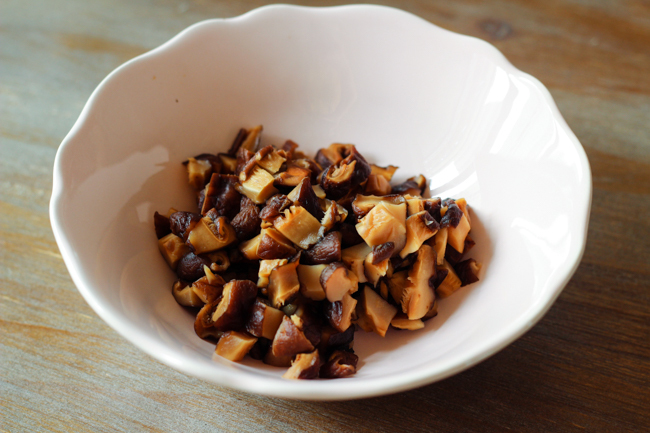 You can use either fresh or dried shitake mushroom, but the later one yield a stronger taste. Save the soaking liquid. Seasonings are also keys to the authentic taste, I get Taiwan Kimlan soy sauce and Taiwanese thickened soy sauce, also known as soy paste (酱油膏) from online food stores. 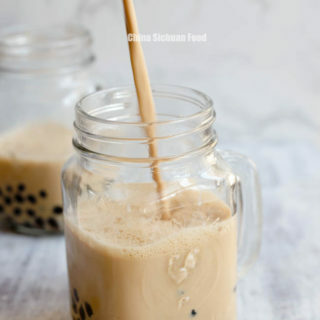 If they are unavailable, you can use high quality light soy sauce to replace Taiwan soy sauce and dark soy sauce to replace thickened soy sauce. 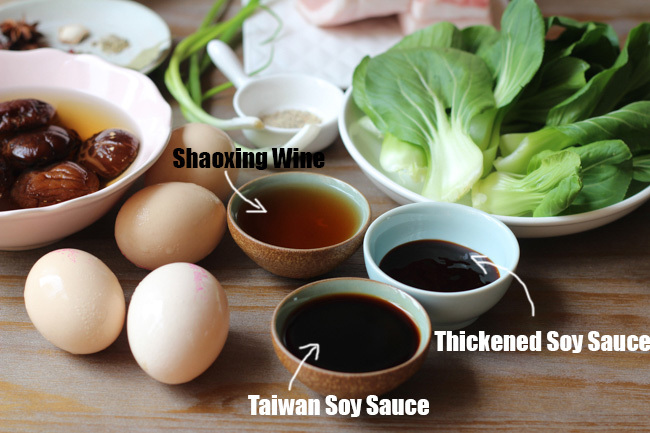 The wine I am using in this recipe is Shaoxing rice wine. 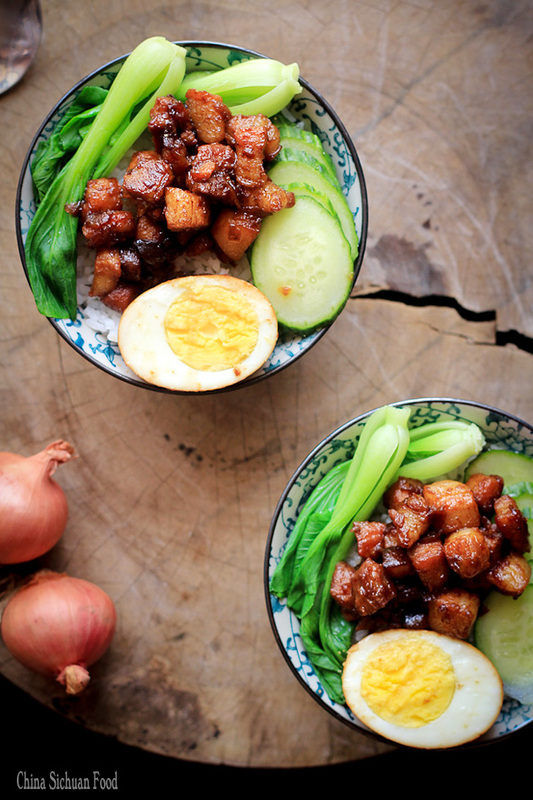 Serve with steamed rice and blanched Bok Choy. 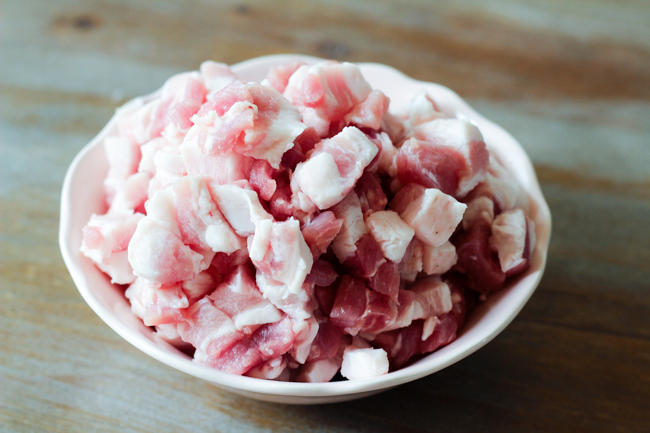 Cut the pork belly into small diced (around 2-3 cm). Heat around 1 cup of oil in a wok or sauce pan, add sliced onion in to fry until they becomes golden brown. Control your fire especially in the final stage and stir continuously. Transfer out to cool down. 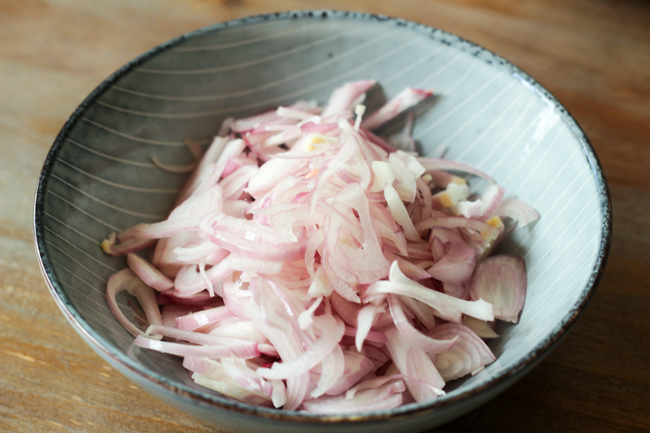 After cooled, the fried onions will become quite crispy, you crack them in a plastic bag with a rolling pin or chop with a knife. Leave around 1 tablespoon of oil and then fry pork belly until slightly browned and they begin to release oil. Get a iron cast deep pot, transfer pork belly in, add shaoxing wine, soy sauce, thickened soy sauce, garlic slices, spices, white pepper, scallion, rock sugar, diced mushrooms and then strained mushroom soaking water. Then add stock or water until 2-3 cm higher than the pork belly. If you are using regular pot with more escaping steam, slightly add more water. Bring to boil and simmer for 15 minutes over slowest fire. Add fried shallots and hard boiled eggs. Cover the pot and simmer for around 30 minutes to 40 minutes over slowest fire. You may need another 20 to 30 minutes if using regular pot. Use high fire to slightly thicken the soup in the last stage. You can serve directly. But the best taste comes several hours later. When all the flavors are well combined several hours later, re-heat it and stir to prevent sticking. Then serve with steamed rice and blanched vegetables. Since different brands of soy sauce have different salinities. You can taste the meat after simmer and then adjust the taste by add more light soy sauce. There should be a shallow layer of sauce at the end, do not dry up it. Thanks for reminding me how delicious braised pork is.. cannot remember the last time I had some and definitely must make this recipe soon! Thanks Thalia for stopping by and commenting. Go ahead and try it whenever you get a chance. I am not much of a pork eater but looking at these my mouth is watering so bad! 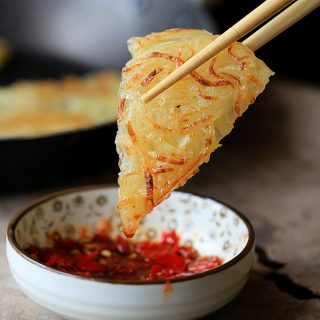 This looks so so delicious! Thanks ami for stopping by and your kind words. And yeah, this is a very additive dish. Making this tonight. Smells marvelous already. Hi Alan, Thanks for your feedback.The taste in the process is quite appeal to me too. I like your site and the recipes that is within it. What do you mean by blended Bok Choy? Or do you mean blanched Bok Choy? I would like to communicate with you directly about Zhōngguó cài and its history. 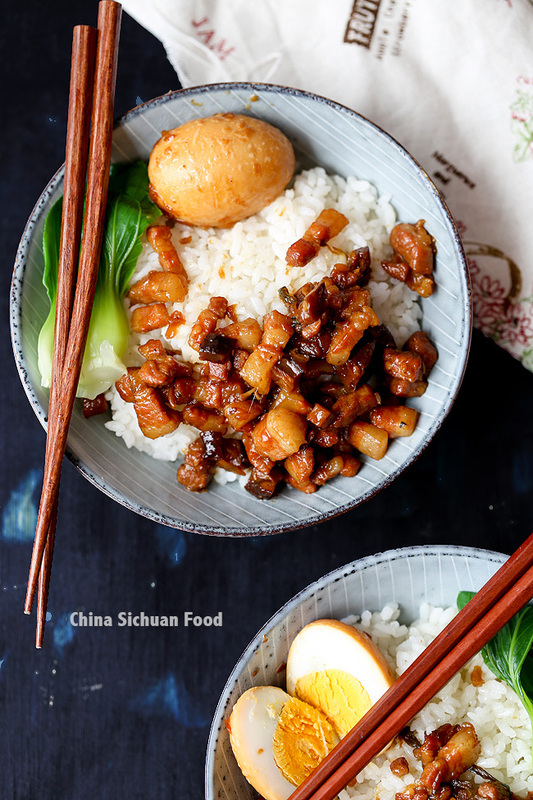 I am very interested in 中国烹饪 Zhōngguó pēngrèn especially the everyday normal cooking that people do which is different from restaurant dishes. 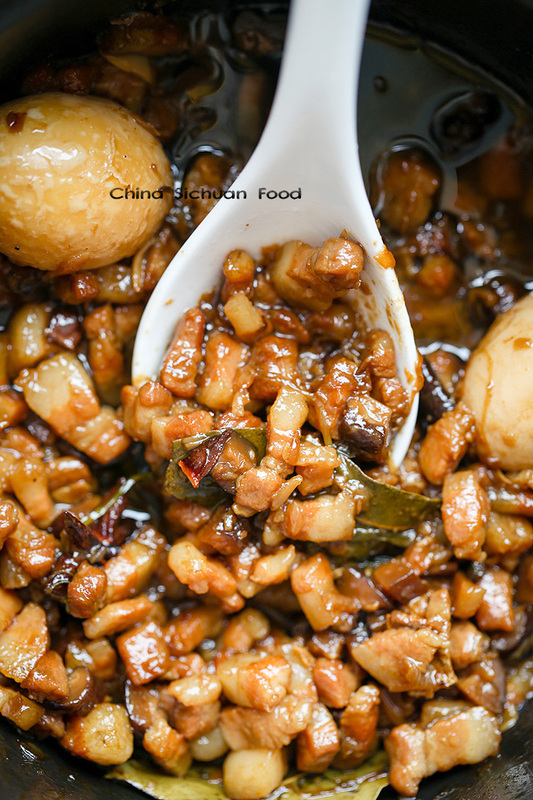 I am compiling recipes from around the world but have always loved 中国烹饪 Zhōngguó pēngrèn. Your photographic work is excellent. Sorry, that’s a misspelling. I just mean cooked Bok Choy. 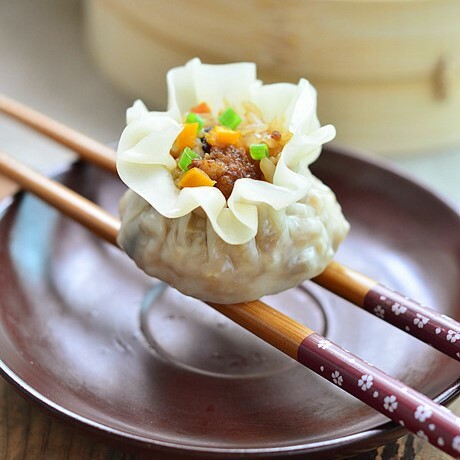 There are many common but yummy dishes from everyday cooking in Chinese cuisine. And I would love to communicate with you about real Chinese cooking. I will email you soon. My boyfriend and I tried this recipe today and it turned out great. Thanks so much for sharing and I love your food photography. Thanks for the feedback Amy. You two are so great. We love this very much too. Happy cooking ahead. You should definitely try it Tring. It is very yummy and you can smell the aroma during the cooking. Which cut of pork do you recommend? Pork belly should be the best. I love this dish, so tasty and delicious ! Agree! This is a really rice killer. I love thiïs kind of dishes! It remembers me my vacation in Taïwan ! My local market does not sell pork belly. What other cuts of pork would you recommend for this recipe? Thanks! Sorry I can’t provide suggestion on this because I do not know what you get in your market. 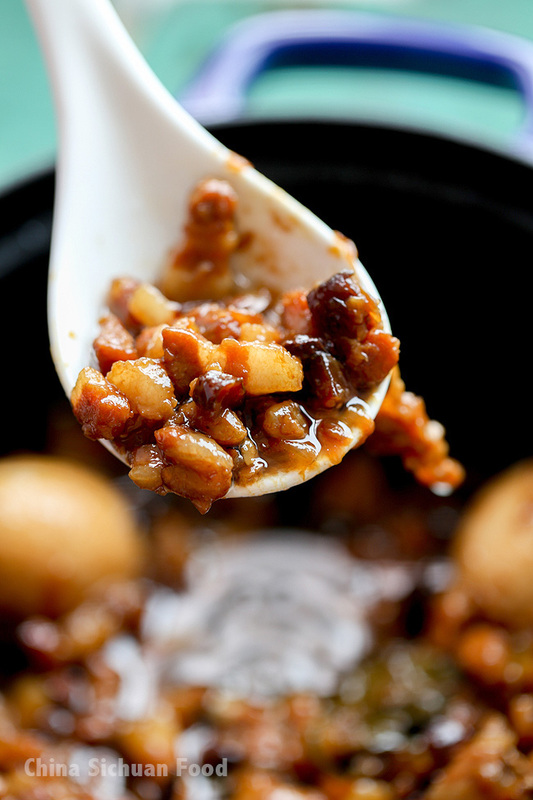 You can use only fat and lean interacted part for a successful Lu Rou Fan. I just discovered your blog today. What an amazing work !! Can I ask what lenses do you use to take these gorgeous photos ? Thanks for the kind comment. I use Cannon EF 100mm f2.8/L IS USM for this post photos. I am a silent reader of your blog and I tried this recipe of yours last week. It was excellent, very tasty indeed! Me and my husband finished 1kg of pork within 2 days. Thank you so much for sharing all your lovely recipes with your readers. I hope you will come up with a recipe for zhajiangmian very soon! Thanks for your wonderful feedback. I am glad to know that it worked fine for you too. This one is my favorite, no matter with noodles or steamed rice. I will come up with a Sichuan style Zhajiangmian soon. 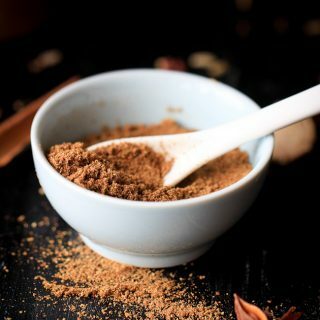 Do you think that adding cinnamon to the spices would improve the dish? 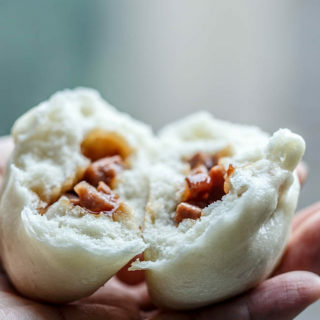 I notice that some lu rou fan recipes have cinnamon, and others don’t. I do not use cinnamon in traditional Chinese dishes. So for an authentic tastes, I believe cinnamon is not needed by this dish. The fact that it can easily be reheated is a big plus, too. So you don’t have to eat it all in one day. I serve it with a little bit more gravy than on the pictures, but I guess that is a question of personal preference. but I guess one could cheat and use pre fried ones from the store. 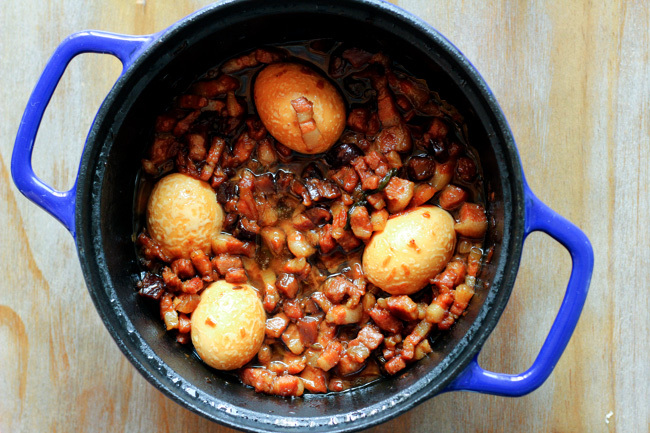 For me what makes this dish really stand out is the combination of the pork with the braised eggs, I just love that.